'Eyes of the Master' has plenty of nods to dragons, thrones and world-altering battles. You can bet David Joy knows who Bilbo Baggins is. 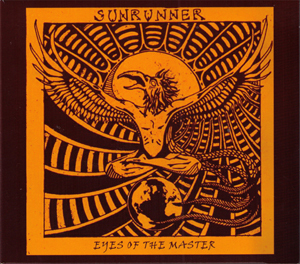 Joy’s fantasy-clad outfit Sunrunner has dropped a dense, Roman-numeraled, prog-rock LP called “Eyes of the Master” with plenty of nods to dragons, thrones and world-altering battles. “Eyes of the Master” kicks off with ’70s-style acoustic major 7th chords and shifty time signatures. “Throne in Twilight” is surprising but organized, with vocals crossing languages as the versatile band alternately rages and floats. At first glance, the song names and album artwork appear over the top. Then you encounter the scope of this songwriting. Most of the songs are six minutes or longer, each with a set of “movements” that recall Jethro Tull and “Junta”-era Phish. It would be nice to change the approach to Joy’s vocals, which often seem intentionally turned down. Here’s hoping Sunrunner can outgrow this shyness — they excel in all other phases of their ambitious craft. Mike Olcott is a freelance writer.